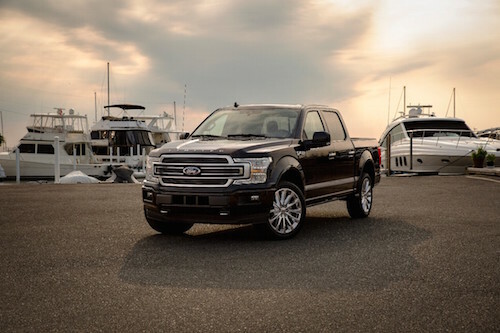 View the inventory of our Capistrano Ford dealer near San Diego, CA for a selection of new and used Ford vehicles for sale, including certified pre-owned Ford vehicles. Dealer leasing and financing offers can provide affordable monthly payments, plus Ford incentives may apply to MSRP prices. Capistrano Ford dealership inventory includes: Ford F-150, F-250, F-350, Ranger, Edge, Escape, Expedition, Explorer, Fiesta, Fusion, Mustang and Transit. See our Ford dealer financing incentives, cash rebates, special offers and lease deals near San Diego, California. Our Ford dealer offers low payments everyday, and we can help you buy a Ford, even with bad credit or no credit. You can also find a variety of used cars at our Ford dealership near San Diego, CA. Certified used Ford include a detailed inspection to certify the mechanical condition of CPO cars for sale. Our Ford dealer can accept a vehicle trade-in to help you buy a car. Our San Diego area Ford dealership offers all types of service including oil change, tune-up, new tires, wheel alignment, brake service, engine repairs. We use genuine Ford parts to maintain vehicle performance. Our Ford service department has special offers and service coupons to help you save money. Capistrano Ford sells new and used Ford vehicles near San Diego County. Dealer inventory listings include monthly Ford lease specials, rebates and finance offers. Drive a little and save a lot at Capistrano Ford dealership.